Created 27 April 1997 e.v. Placed at hermetic.com 10 Jan 1998 e.v. Last updated 15 Aug 2017 e.v. 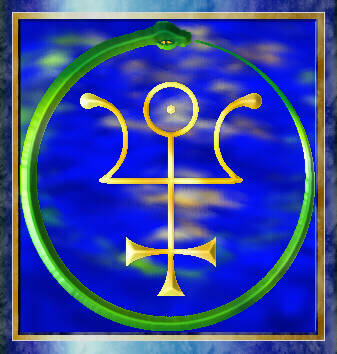 The Sabazius Seal depicted above is Copyright © 1996 Ordo Templi Orientis U.S.A., and may not be reproduced in any manner without express permission. The Sabazius Seal and Invisible Basilica graphics were created by Sulis. 15 Aug 2017 – Added NOTOCON Keynote Address from 2017 e.v. 10 Jan 2016 – Added Richard Kaczynski's essays on Lady Frieda Harris, Henry Klein, and John Yarker to the Order of the Lion and Order of the Eagle section. 17 Aug 2015 – Added NOTOCON Keynote Address from 2015 e.v. 17 Aug 2013 – Added NOTOCON Keynote Address from 2013 e.v. 04 Nov 2012 – Updated Links page. 15 Aug 2011 – Added NOTOCON Keynote Address from 2011 e.v. 17 Jan 2011 – Minor revision to the essay on Roderic Borgia. 16 Jun 2010 – changed blog address. 15 Feb 2010 – Updated the link to the Leila Waddell Memorial Web Site. 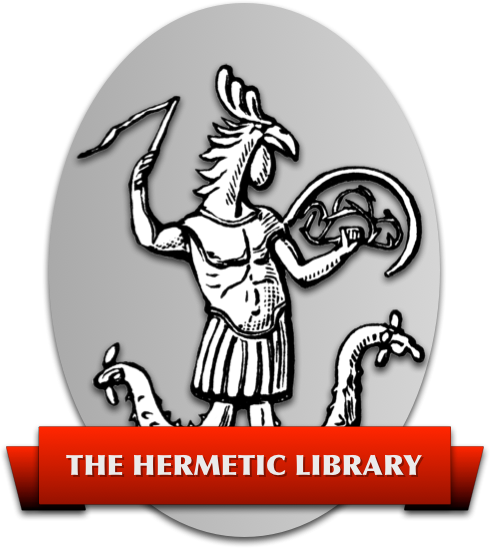 Minor revision to the Introduction to the Gnostic Mass: removal of reference to reported Gnostic Masses held by Crowley at Cefalù. All the evidence indicates that only portions of the Gnostic Mass were performed there, as part of other rituals. Completely revised and updated the "Computing the Kiblah" page. 3 Oct 2007 – Added NOTOCON Keynote Address from 2009 e.v. 21 Feb 2009 – Added an article on Giordano Bruno. Corrected an error in the essay on the history of E.G.C. The name Ecclesia Gnostica Catholica was used by Bricaud in the title of a Mass circulated around 1908 e.v., and was not, therefore, actually coined by Crowley in 1913. Thanks go to Tau Vincent II for this information. 31 Jan 2009 – Added Giordano Bruno to the list of saints in the Gnostic Mass. Bruno was added to the list of Saints by the Frater Superior on 17 Feb 2000 e.v. Revised the following footnotes to the Gnostic Mass: Introductory Notes, The Two Children, The Cap of Maintenance, Kneeling in Adoration, Paten and Host, He takes the Cup, and He Goes Out. 17 Jan 2009 – Revised two footnotes to the Gnostic Mass: The People Communicate and The Three Steps. 26 Dec 2008 – Updated Links page. Revised two footnotes to the Gnostic Mass: The People Communicate and The Position of the Priest. Added some explanatory text in the place of the removed "Basic Exorcism Rite." 7 Dec 2008 – Eliminated Dorovar font due to compatibility problems in Firefox. Removed Exorcism ritual. I no longer support the idea of E.G.C. clergy–or anyone else–performing exorcisms as a service to others. The mere concept lends itself too easily to superstitious interpretation, which can lead to potentially abusive practices. Magicians can do their own banishing, and people who are mentally ill should seek treatment from competent professionals. 2 Feb 2008 – Updated Links page. 16 Aug 2007 – Added NOTOCON Keynote Addresses from 2005 and 2007 e.v. 30 Jul 2007 – Revised the "Basic Exorcism Rite." 8 Jan 2005 – Added Paradoxos Alpha's essay on Anna Mary Bonus Kingsford to the Order of the Eagle section. 11 Dec 2004 – Updated links section. Added link to weblog. Corrected a minor error in The Formula of Tetragrammaton in the Gnostic Mass. 28 Aug 2004 – Revised the E.G.C. Deacon Ordination Ritual to clarify a technical point about authority to perform the ritual. 10 Jul 2004 – Revised the introductory Gnostic Mass notes to accommodate recent information from Martin P. Starr's biography of W. T. Smith. Added a link to the page on W. B. Crow from the biographies page. Removed the section on the “Thelemic Lesser Ritual of the Pentagram” due to questions over the origin of said ritual. When first provided to me, said ritual was purported to have been privately circulated by Aleister Crowley to members of Agapé Lodge. This now appears doubtful. 8 Nov 2003 – Edited Frater Hippokleides's essay on Leah Hirsig to add her birth date and correct her death date, based on recently-published genealogical data. 13 Oct 2003 – Added my keynote address given at this year's national conference of the U.S. Grand Lodge of O.T.O. 26 Apr 2003 – Added T Allen Greenfield's essay on Emma Hardinge Britten to the Order of the Eagle section. 18 Oct 2002 – Replaced the long outdated NetMind notification form on this page with a Change Detection notification form. Hopefully this service will remain in business for a while. 16 Oct 2002 – Updated the Links page. Added Richard Kaczynski's MIDI rendering of Frater H.K. 's music for the Anthem of the Gnostic Mass, on the Sounds page. 14 Jul 2002 – Updated a bunch of links on the Links and Crowley pages. Added my latest “From the Grand Master” Essay from Agape: //Scientific Religion//. 17 Mar 2002 – Revised the essay on the Sacramental System of Ecclesia Gnostica Catholica. 1 Dec 2001 – Added a link to a site on Leila Waddell. 15 Nov 2001 – Added a link to another page on Adam Weishaupt at Luca Bianchini's Italian Opera site. Bianchini's site also has an interesting page on Johann Simon Mayr, a composer and Illuminatus (code name “Aristotle”) who studied at Ingolstadt and composed, among other things, a “Fanfare of the Illuminati,” which is featured on the site as a MIDI file. 2 Sep 2001 – Added a page of my keynote addresses given at national conferences of the U.S. Grand Lodge of O.T.O. 15 Apr 2001 – Fixed the link and made a few more minor tweaks in Observations on Liber Oz. 4 Apr 2001 – Touched up some of the Saints images. Added an essay on Leah Hirsig by Frater Hippokleides, in the Order of the Eagle section. 1 Apr 2001 – Added a "sounds" page, with an MP3 file of Aleister Crowley intoning the first four Collects of the Gnostic Mass. Made some minor revisions to the essay On the Nature of the True Will. Revised the first paragraph of Observations on Liber Oz. Modified the Gnostic Mass note to Children of the Prophet. 24 Feb 2001 – Added the Manifesto of the Gnostic Catholic Church, with notes.Adjusted the Gnostic Mass note to A Whole Goblet of Wine. 4 Feb 2001 – Updated the counter code and performed further tweaking on the Gnostic Mass notes to the Two Children and The People Communicate. 2 Feb 2001 – Re-revised the Gnostic Mass note to the Two Children. The Other Officers Never Partake. 15 Jan 2001 – Added the latest lead article from Agapé, "On Sponsorship" and new links from the Encyclopaedia of the Celts for Merlin, Arthur, and Parzival. 10 Sep 2000 – Added a section on the Order of the Lion and the Order of the Eagle. Added an essay on Paschal Beverly Randolph by T Allen Greenfield. Added a definition of basilica, for the curious. 6 Sep 2000 – Expanded the Gnostic Mass note on the Children. 3 Sep 2000 – Added PicoSearch site search engine. Added a selection of my lead articles from Agapé, the newsletter of the U.S. Grand Lodge of O.T.O. Made a minor revision to one old essay: An Approach to Magick and more significant revisions to another: On the Nature of the True Will. 6 Aug 2000 – Fixed the link to Liber Oz. Improved the annotation system for the Gnostic Mass notes. Made a minor revision to the Gnostic Mass note on the Saints. 3 Jun 2000 – Added a note to the Tenth and Eleventh Collects in the Gnostic Mass. Thanks to J.H. Added a link to an interesting CESNUR article about Anti-Cult Terrorism via the Internet. Updated a few other links. 21 Apr 2000 – Updated the Links page. 26 Nov 1999 – Added a downloadable PDF file containing the sheet music for Frater H.K. 's musical setting of the Anthem from the Gnostic Mass. 12 Oct 1999 – Added a “Know Thyself” section to the Links page. Replaced the image for Carolus Magnus. Revised notes to the Gnostic Mass on the fleur-de-lys, the Feast for the First Night of the Prophet and his Bride, the Sign of the Cross, and the Sign of Light, Ambience, the Crown, the Cap of Maintenance, the Descending Triangle, and Certain Secret Formulae. 30 Sep 1999 – Added images of Guillaume du Bellay, who may have been the Gnostic Saint William of Schyren, and Roger Saint-Victor Hérard, founder of the North American autocephalous branch of l'Église Gnostique Catholique Apostolique. 18 Sep 1999 – Added images of Gnostic Saints Sir Richard Payne Knight, Hippolytus, J.G.R. Forlong, Miguel de Molinos, Robert Fludd, Catullus and Martialis. Replaced images for Mentu, Apollonius Tyanaeus, Elias Ashmole, Sir Richard F. Burton, and Algernon Charles Swinburne. Added images of Jules Doinel (1) (2), Fabre des Essarts (Tau Synesius), and Vintras. Replaced images for Jean Bricaud and Constant Chevillon. 6 Sep 1999 – Added a transcript of Crowley's diary entry in which he ordained the insertion of the name Paul Gauguin among the Saints in the Gnostic Mass. Added some additional links. Added The Structure and Liturgy of the French Gnostic Church of Jules Doinel and The Formula of Tetragrammaton in the Gnostic Mass. 29 Aug 1999 – Added images and links to many of the Saints essays. Added some miscellaneous links. 25 Aug 1999 – Extensive revisions to the site. Changed the principal font from Corel's Merlin to the freeware Dorovar font. Added Hebrew and Greek text (here and there) and the corresponding downloadable public domain Hebrew font. Added essays on all the Saints listed in the Gnostic Mass. Revised notes on Gnostic Mass pertaining to the pillars, the Paten, the roses, the number eleven, “savage countries,” and the Saints. Added a section of miscellaneous links. 12 Aug 1999 – Further revised notes to the Gnostic Mass on The People Communicate. 24 Jul 1999 – Added MIDI files for A Ka Dua and So Mote it Be in the Gnostic Mass notes. 2 Jul 1999 – Permanently deleted the original website at what was once GeoCities. The new megaglomerate insisted on changing my username. 19 Jun 1999 – Revised notes to the Gnostic Mass on The Saints and The People Communicate.